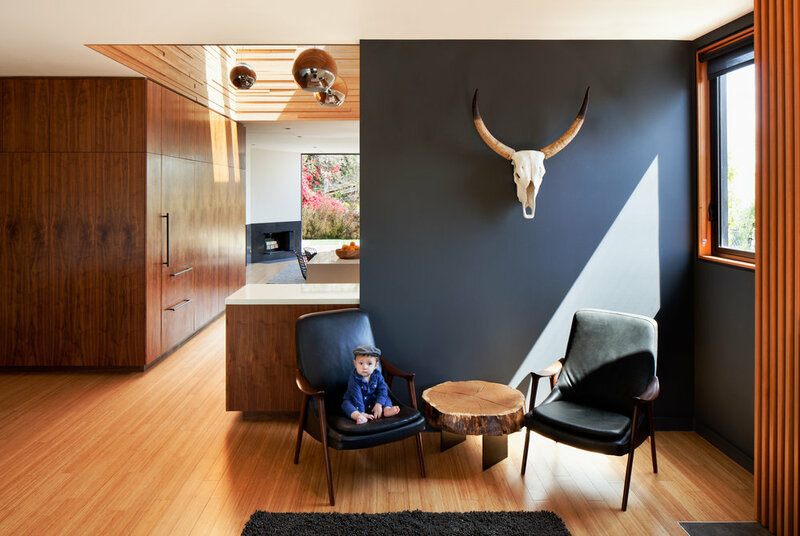 Walker Workshop was approached to radically transform a ninety year old home in Hollywood California. We eliminated the existing arrangement of small dark walled rooms to create light-filled, and flowing spaces. We added floor to ceiling windows and doors and a large volumetric skylight at the center of the space. 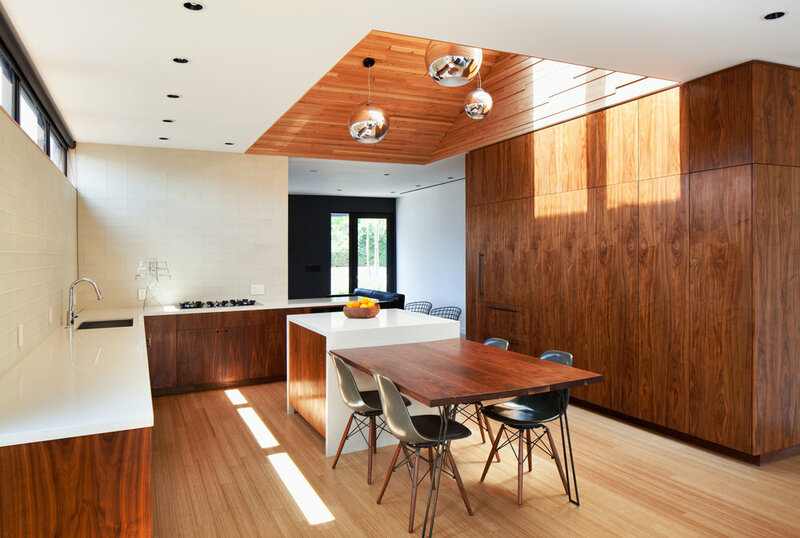 The skylight was clad in reclaimed timber for the walls of the existing home that were removed. As the designer and builder we were responsible for all aspects for the project's design and construction allowing us to tightly control costs and incorporate custom details throughout the process.